Viyella's Full Colour Check Shirt is a fine quality cotton blend shirt perfect for all occasions. 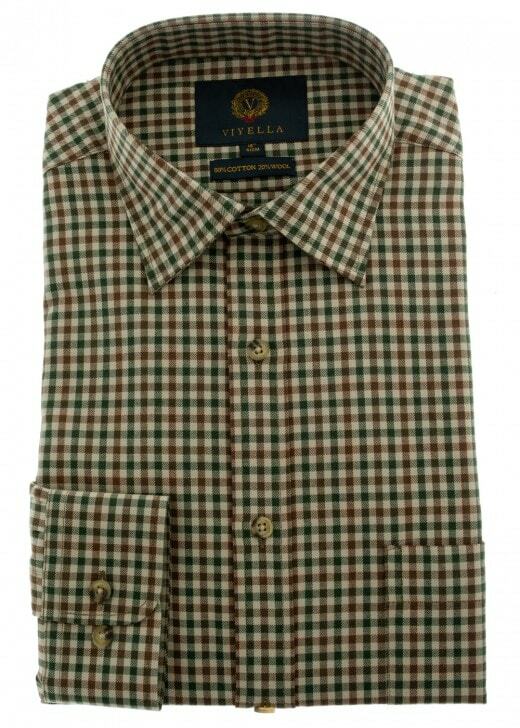 Viyella's Full Colour Check Shirt is a fine quality cotton blend shirt perfect for all occasions. Designed with a fun coloured check pattern, this beautiful shirt has a relaxed fit and standard collar to combine comfort and style in one great garment. This shirt can be dressed up or down, making it a real must have for your wardrobe. Showing our 1 review for Viyella Full Colour Check Shirt. I have used the Viyella wool blended shirts for many years. the 5th star is reserved for shirts from cashmere blended shirts from Brooks brothers.